Neutralizing Battery Acid, And The Proper Way To Clean It. McCulley's Golf Cars > Blog > Maintenance > Neutralizing Battery Acid, And The Proper Way To Clean It. As most golf cart owners already know corrosion is the most common reason why electric golf carts can stop running, most times you can thoroughly clean the battery and terminals to keep you from having to replace it sooner than expected. 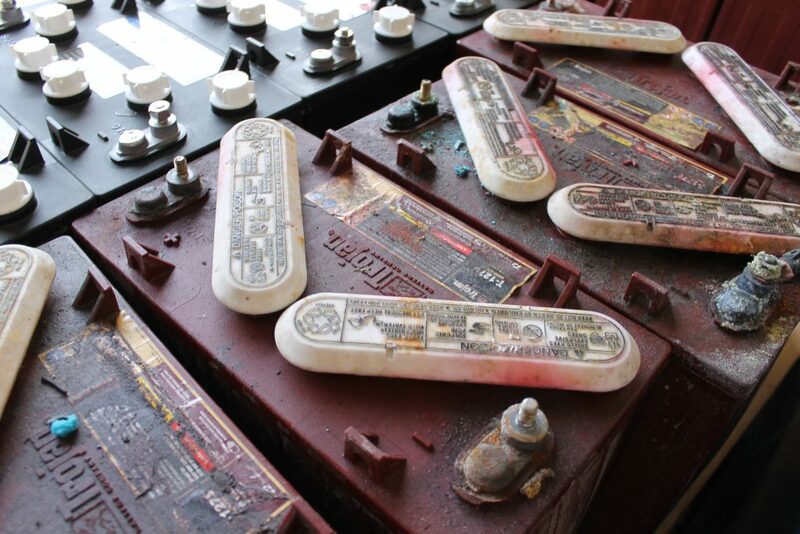 If you minimize corrosion to the electrical system battery life can be increased and properly maintained batteries can last as long as 5 years or longer. You want a battery that is completely clean and free of any corrosion. what most people don’t know if that just spraying it down with a high powered hose or just plain tap water is not going to cut it. 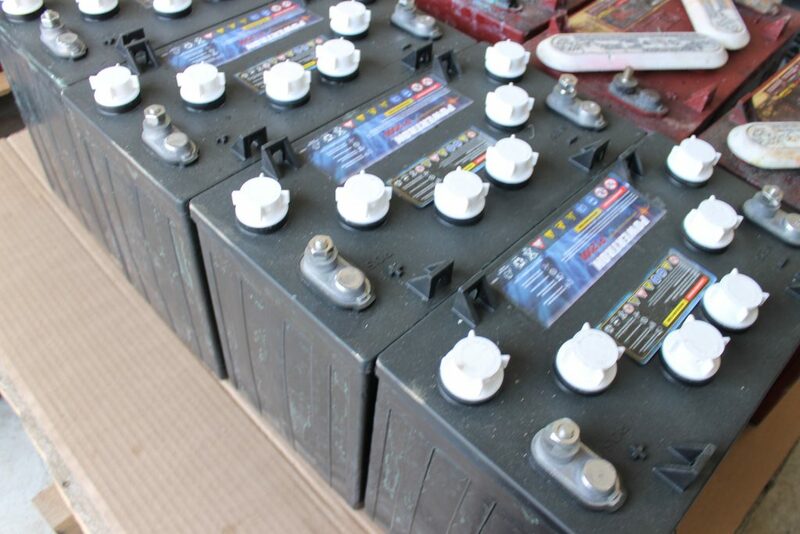 It is important that you know to neutralize the battery acid, to do this you can use a mixture of 1 cup of baking soda per each gallon of water and spread evenly over the batteries. You will be able to tell when the acid has been neutralized by the bubbling reaction you get when the acid and the baking soda mixture come into contact with each other, or you can use battery cleaner spray. Doing this will penetrate, loosen, and neutralize any acid or corrosion deposit. If you use the spray it should start out yellow and then it will become pink when it comes in to contact with any acid. You will want to let the mixture/spray sit for at least 5 minutes, then you will want to dry the batteries with a towel and wipe off any leftover grime. If there are still deposits you will keep putting the baking soda mixture/spray on let it sit and then rinse, keep doing this until all of the corrosion is gone. Next, you’ll want to remove any corrosion from your cables and terminals. You can do it by taking a wire brush and scraping off any extra unwanted debris and corrosion. Doing this allows for clean contact between your cables and terminals to reduce any interference. How to protect your terminals from any corrosion in the future is by spraying battery terminal protectant, Liberally spray each terminal with this solution. This can protect your terminal from any gases and acid that emit from your battery. Golf carts leak acid as they loose their charge, so they will need to cleaned and re-water with distilled water, deionized water, or demineralized water as well as recharging your battery to reduce the risk of battery destruction by sulfation. Remember to always wear eye and skin protection, and you always want access to running water while cleaning your batteries.